﻿ Innovación y Universidad | Universidad Politécnica de Cartagena | Faro del Mediterráneo, es una plataforma de información que alberga todos los contenidos de interés, que resultan relevantes para que, desde el extranjero, se “sitúe a Cartagena en el mapa”. 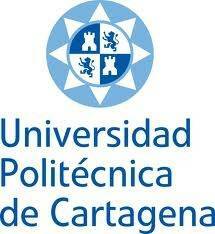 Created in 1998, the Polytechnic University of Cartagena is one of the newest in the country. It has approximately 500 teaching staff, half of them professors. This allows a student-teacher ratio of 13 to 1, one of the lowest in Spain. More than twenty courses are given here, as well as degrees, masters degrees and doctorates, and the main specialities are Engineering and other technical degrees, as well as Architecture and Business Studies.